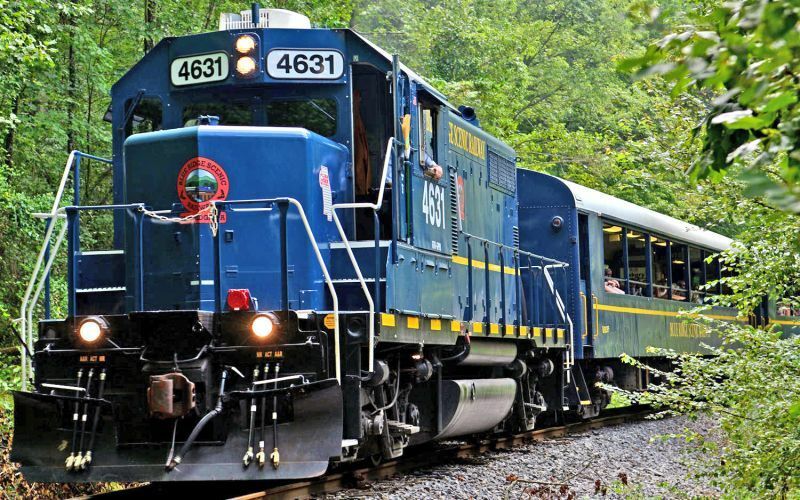 Kids will love climbing aboard the Blue Ridge Scenic Railway! Ride the rails on the historic Blue Ridge Scenic Railway in the picturesque North Georgia Mountains. The Blue Ridge Scenic Railway is a a favorite excursion of all North Georgia Visitors. Young and old alike enjoy the authentic, vintage train cars, the 26 mile scenic trip through the mountains of Blue Ridge, and the unique shops and restaurants in the twin cities of McCaysville, Georgia and Copperhill, Tennessee. If you're looking for a relaxing day of scenery, shopping, and spending quality time with your loved ones, the Blue Ridge Scenic Railway train ride is the perfect activity for kids! Prices and trip times vary, so please visit their website for more detailed information!